This article, originally published in InPark Magazine, sheds light into our proprietary process for successfully delivering destinations. This is how it starts: a developer has land, money, and a vision. A team is formed; a theme park project is launched. What could go wrong? As anyone with project experience in this industry knows all too well, many things can go wrong, and many worthy projects don’t make it to the finish line. When a project bubble pops, time and money are wasted. Expected economic benefits and tourism are lost. Companies lose financial footing, reputations are tarnished. Ultimately, such failures are bad for the whole industry. The larger the project scale, the greater the impact. What goes wrong? The big-picture perspective, according to the team of project management specialists at nFusion, is that projects get out of alignment due to an imbalance in the development efforts. Armed with formidable expertise and a detailed methodology based on many years of experience in entertainment project management, they’re working to change that. nFusion is one of three of The Companies of Nassal brands – Nassal has been a well established, Orlando-based firm serving the visitor attractions industry with fabrication and production. nFusion, which was born out of a series of project management services The Nassal Company was asked to perform in the mid-1990s, launched in 2014 as Nassal ACM (Attractions Construction Management). It is an independent program management (aka project management) consulting firm based in the Los Angeles area. Today, The Companies of Nassal umbrella also encompasses Lexington, a scenic fabricator focusing on museums, casinos and hospitality, complimenting Nassal’s specialization in theme parks, zoos and aquariums. nFusion operates independently, and in fact mostly works on projects with which its sister companies have no involvement. Key members of the nFusion team are Martin Zurauskas, Managing Director, and Program Directors John Lindsay, Gina Yu, John Dreher, Daryl Parker, and Robert Wyatt. (See sidebar for details.) 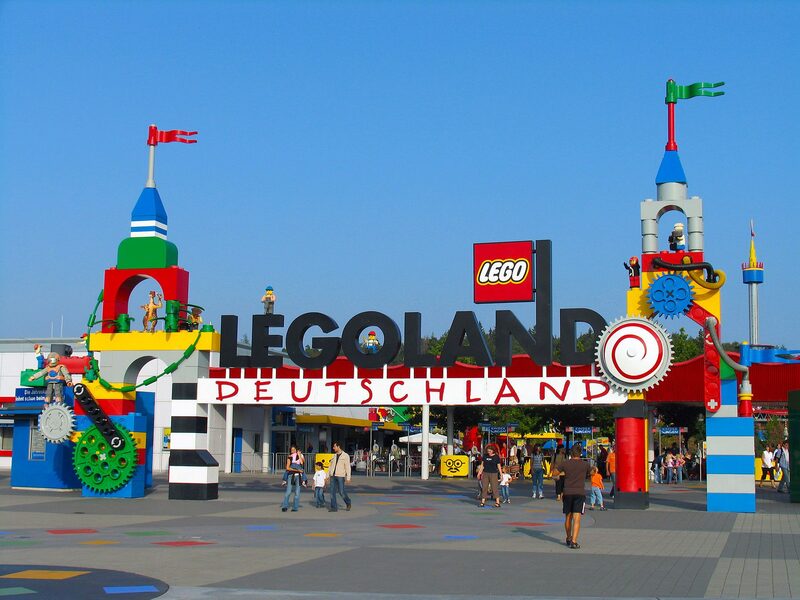 The relationships that led to the formation of Nassal ACM grew out of a fast-tracked LEGOLAND project in Germany, where Zurauskas, then Head of Development for LEGOLAND, brought Nassal on as construction manager. The nFusion team represents substantial collective history developing attractions and entire parks for top developers and operators around the world (including Disney and Universal, as well as LEGOLAND, SeaWorld, and many others) and extensive knowledge of the myriad disciplines involved in creating such projects. Their nFusion codified process of “Project Gates” is designed to minimize avoidable risks and usher more projects to completion and success. Building a multi-faceted attraction (on time and on budget, of course) involves thousands more elements than the average construction project. All the elements of designing and building an attraction are combined with the process of housing it – of permanent construction – and optimizing it for viable and lucrative operations. 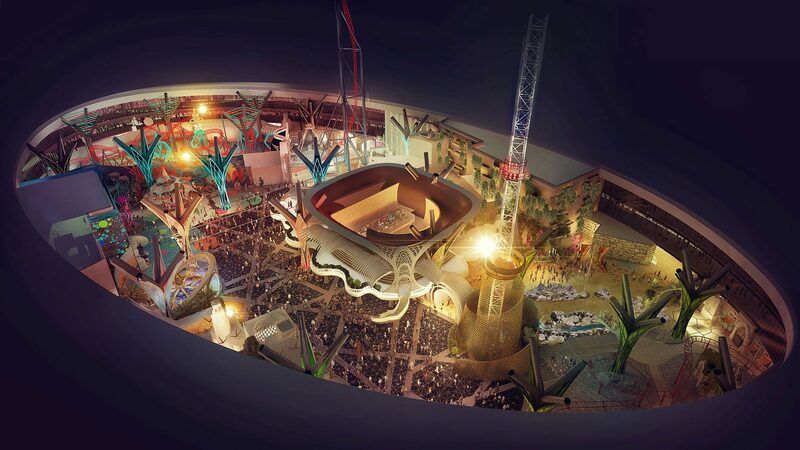 Planning and creating the attraction must be woven into the fabric of the construction process, from early concept development to schematics to budgets to turning on the electricity for the first time. Otherwise, it’s all too easy to fall into the kinds of costly mistakes that can send even the most promising concept into the theme park graveyard. Having spent many years developing successful attractions for the industry’s big players, nFusion’s executives decided to build upon best project management practices to formulate and formalize an industry-specific, program management plan based on what they’ve seen work in the field. Together they came up with a series of steps they call Project Gates. The point of Project Gates is to keep the project and the process on track and in sync, so each element is done correctly the first time in alignment with the development process, thus minimizing the number of costly re-do’s. Communication, scheduling and budgeting are all key. As a basis of best practices, Zurauskas cited a paper presented in 2000 at the Project Management Institute Annual Seminars & Symposium in Houston, TX, “Accelerating product developments via phase-gate processes,” by H.J. Thamhain. Essentially, Project Gates are well-defined, incremental building blocks and checkpoints that maintain alignment of the flow of the development process. The procedure involves looking at all pertinent elements at once and keeping their costs in line. Otherwise, a project might derail because too much money is spent in one area before assessing what obstacles might demand that element be changed to make it viable. nFusion outlines four major stages to a project: Definition, Master Plan, Design and Implementation. At the corresponding completion of each stage, before passing through the Gate to the next stage, key questions must be asked and answered: Is the project feasible, deliverable, buildable? And finally, is it operable? nFusion mavens are sent to the construction site, building begins, and ultimately a thoughtfully planned, knowledgeably budgeted attraction starts to evolve, infused with nFusion pragmatism. How would you summarize the practice of program management? Programs may be one or multiple projects. Program managers maintain alignment of the project(s) team(s) through a pragmatic process that grounds the team while addressing the development challenges against the baseline. What are some of the important ways that destination entertainment program management is unique? Traditional development projects have 30+ divisions of work. Destination entertainment projects have 100+ divisions of work. Our program managers span both traditional and specialty disciplines and are alert to the interfaces between these divisions of work. Is a program manager the same thing as an owner’s rep? Owner’s rep acts on behalf of the Owner, whereby the program management consultancy facilitates the work in place of the Owner. The Owner’s Rep is in contrast to a Program Management Office approach which is a blended team of the Owner and the Program Manager to holistically manage the project delivery. How does the overall program manager interface with the individual project managers of the different disciplines? The overall program manager is the Program Director responsible for the integration of the project managers. The project managers are responsible for delivering specific scopes with the overall program. Why is program management an essential role in entertainment development? Don’t some projects go forward without a project manager? The Program Director is responsible for aggregation and integration of the work streams and resources. When projects move forward without such overall leadership an area of expertise / scope of work will be developed ahead of the balance of the project. This introduces significant risk into the development, often requiring rework of design or construction scope which wastes time and money. 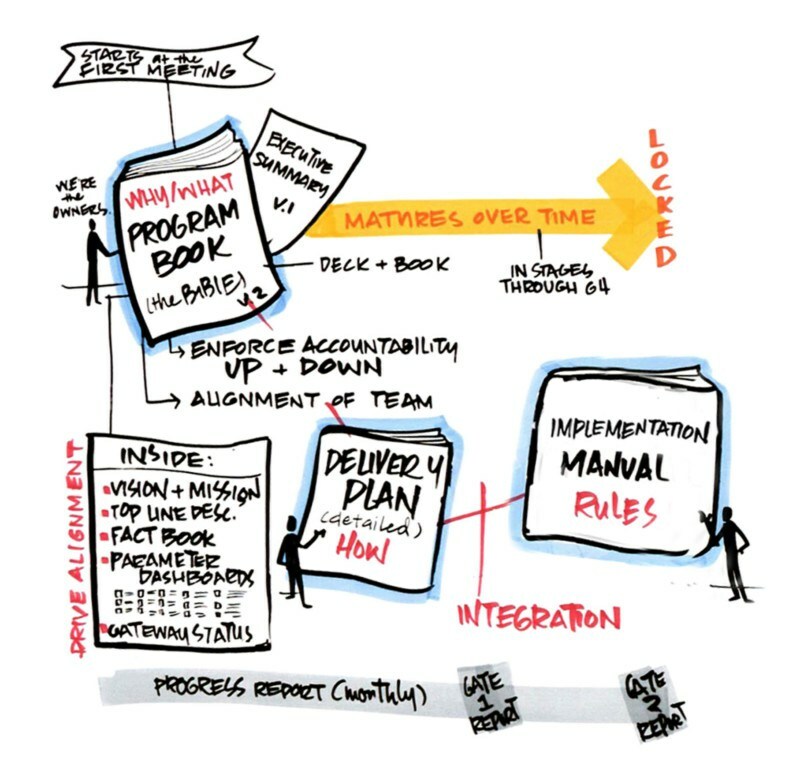 Should a project owner look for a program manager first, before assembling the design team? Yes. The Program Manager listens to the Owner, developing the brief against which the talent to perform the work is cast. Casting without a brief will lead to misaligned resources and potential for work which is not needed.